I never knew my Dad as a young man. He was almost 50 when I was born, an age that I haven’t quite reached yet. I knew some of his friends as I grew up, and he was a legend with respect to all the stories that circulated about him. During the 20’s he rode the rails all over the United States to race tracks to train horses and do maintenance work, and he even made the Indy 500 part of his circuit for a few years. He came back to Miami in 1935 to settle down, get a career and get off the road. He was 24 years old. The depression had started when he was 18. He joined the Miami Police Department. 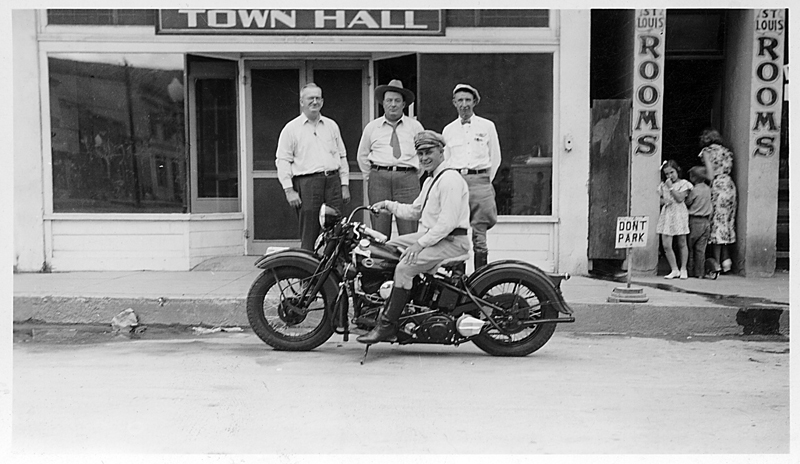 Danko Gurovich in 1936 with his brand new Harley Knucklehead. John Welch is in the center.